Can a Georgia County Sheriff Be Liable for Failure to Prevent the Suicide of an Inmate? Can a County Police Officer be held liable for failing to prevent the suicide of an inmate under his custody? That is the interesting question in the case below, which was argued before the Georgia Supreme Court this week. Below is the Court’s summary of the case. It gives you some of the pertinent facts and then a synopsis of the arguments and positions of both sides in the case. For court watchers and trial junkies this is a helpful tool provided by the Court (presumably written by one of the Court’s clerks; I did not write it) to be able to follow along in oral argument. 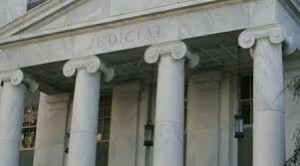 By the way, the Georgia Supreme Court’s oral arguments all can be viewed through their livestreaming capability found on its website. And if you can’t catch them live, the arguments are taped and available for your leisure viewing on the website, as well. Pearce v. Tucker will be a case I’ll be watching as it turns on the old “discretionary v. ministerial” argument trap that really needs to be abolished in favor of including all such claims against counties as part of the Georgia Tort Claims Act. This would give this area law the predictably it desperately needs. Hopefully, the Georgia Legislature will address that one day. In the meantime, every time there is a case against a county employee, like the one below, the Court must go through this time-worn analysis of whether the employee’s conduct was discretionary, for which the employee has immunity, or whether it was ministerial, for which the employee does not have immunity. Stay tuned. Should be interesting. case could not proceed against the officer. put up his hands and got down on his knees, and the officers took his gun. “Tammy and Kids, No [sic] your fault. I love you and always will,” and “To [sic] much PAIN. committed suicide by tying his socks together and hanging himself from a door hinge. inappropriate because the requirement to perform a medical screening was a ministerial function. suicide was an unforeseeable act not caused by Tucker’s failure to act. screening that would have prevented her husband’s suicide, such as taking him to the hospital. the specific alleged negligence–i.e., the failure to perform a medical screening.” Much of Mrs.